Rainy and cold in Seattle, the beach sounds so good. 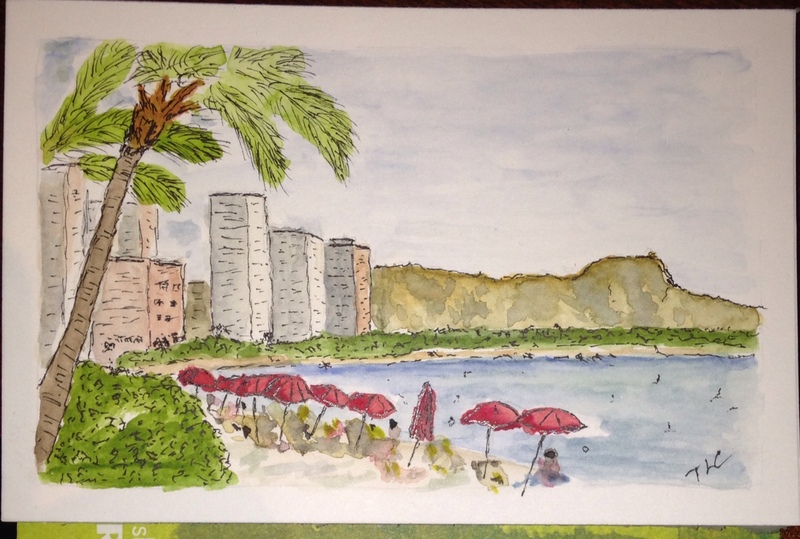 This entry was posted in ink, pen, sketch, Travel and tagged Hawaii, sketch, Waikiki. Bookmark the permalink.